Roll the dinosaur picture, and you caught him! 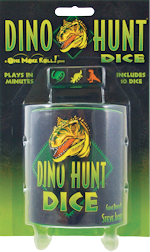 If you get a leaf, the dino is hiding, and you can try again. If you get a footprint . . . you're STOMPED! Download the rules in PDF form here. 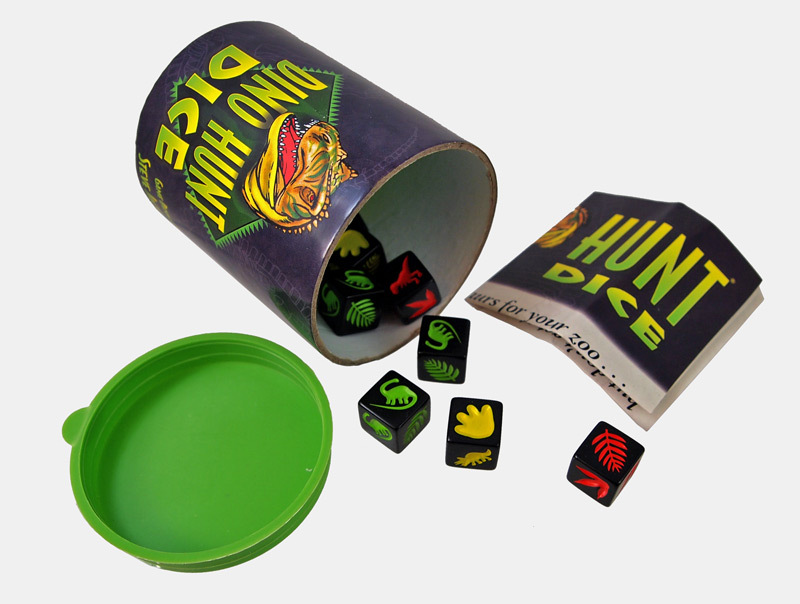 Play Dino Hunt Dice on your iPhone or iPad . . . and it's FREE!